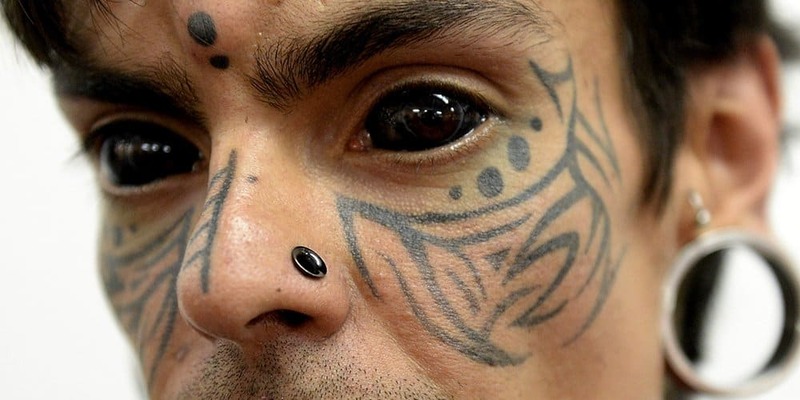 From the absurd to the weird, some people get tattoos that only mean something to them and nobody else. 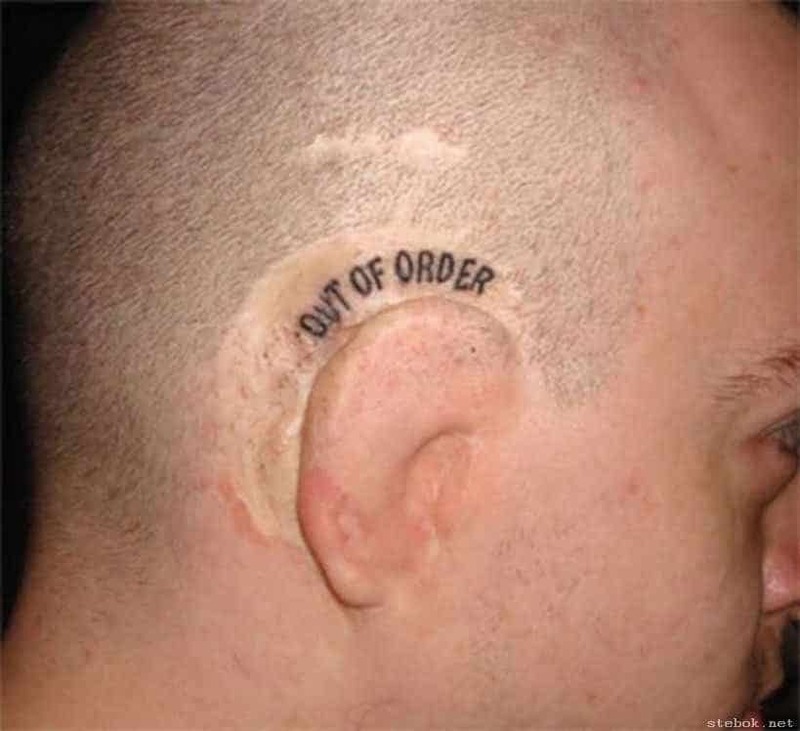 Although that’s usually the case, sometimes people tend to get ingenious tattoos that nobody else would have thought of. 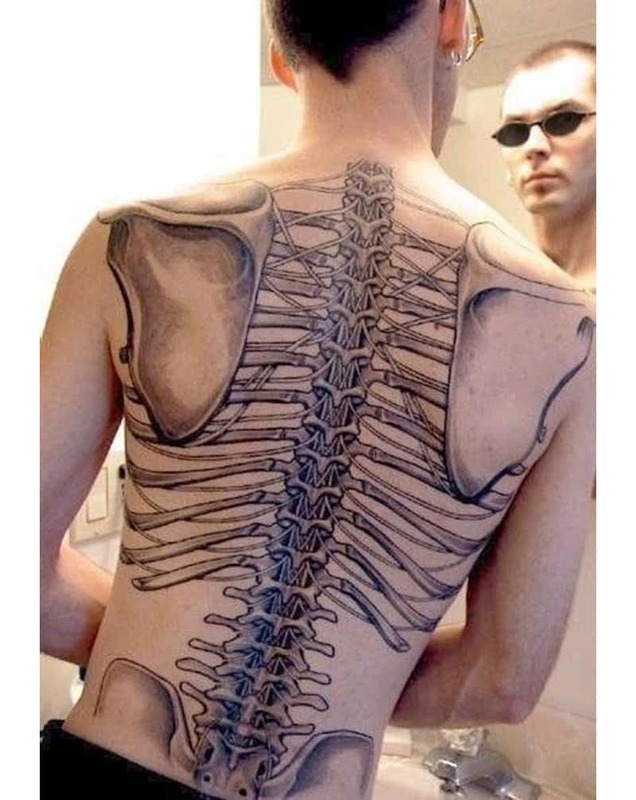 Or maybe the opposite is true, where the tattoo is so ill thought out that you wonder what they were thinking when they got inked. 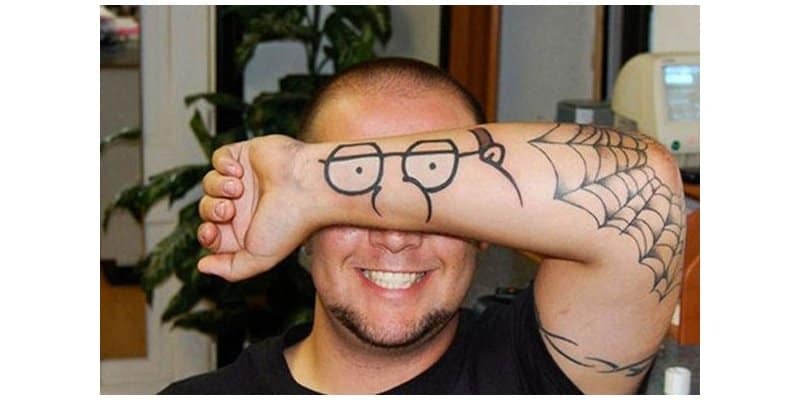 This is a list of ten hilarious tattoos that you won’t believe people were brave – or stupid – enough to get put on them forever. When you know you are born a little bit different than others, don’t run away, embrace it. Maybe this guy wanted to fight police brutality. He certainly went the wrong way about it. 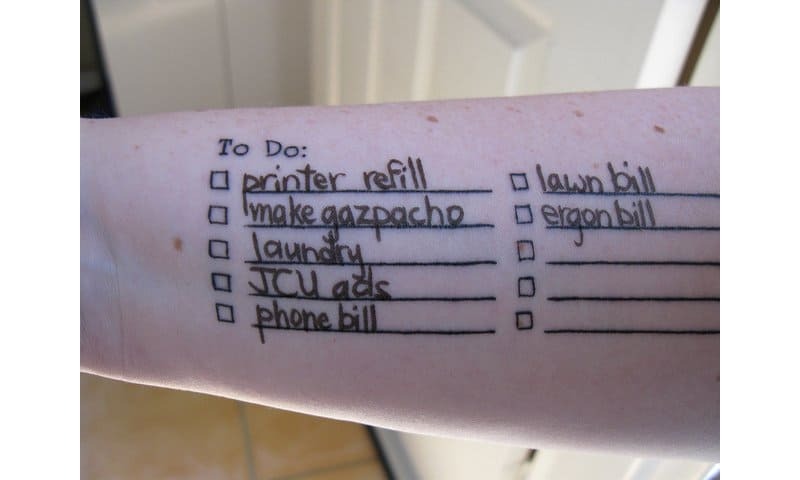 When you’re forgetful but you have a plan, get this tattoo and save yourself more pain later in life. How do you turn a girl into a Sir? One simple tattoo will do it. 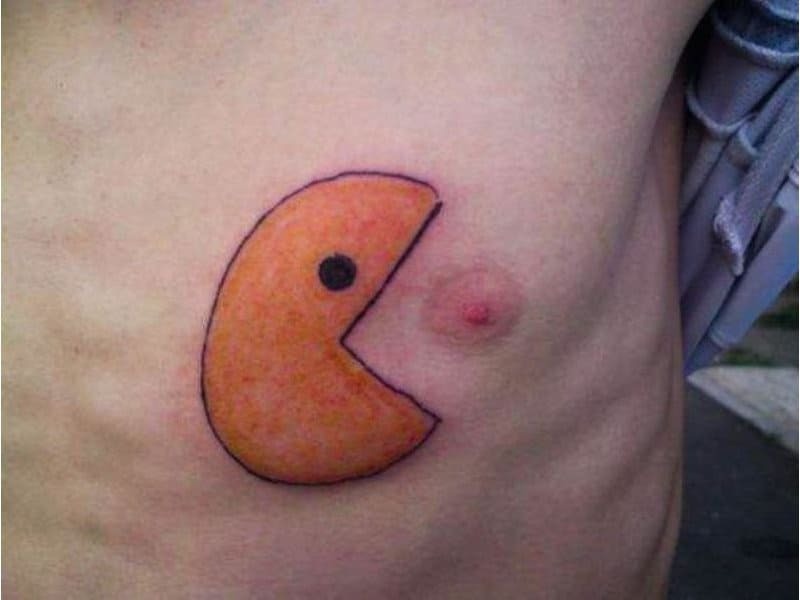 This isn’t exactly what Pacman is looking for, but it’ll have to do. Hopefully next time he cat get some more detail into Pacman. How do you keep a child entertained for half an hour? Get a giraffe dot-to-dot tattoo on your leg and give them a whiteboard marker. Well maybe this guy didn’t think this through, but one would assume it’s hard to find a job like this. Unless you were a poster boy for tattoos. 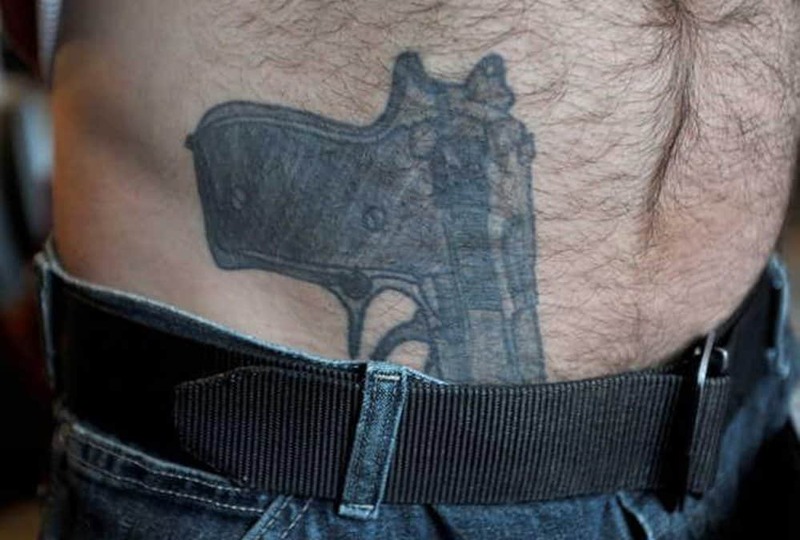 This guy probably didn’t shoot the sheriff either, but if you try and scratch your hip around the 5-0, don’t expect to survive for long with this tattoo. Always thought you looked like Peter Griffin? Say no more; with this tattoo you can complete the look with a simple raise of your arm. This may look cool but it’s not exactly anatomically correct. 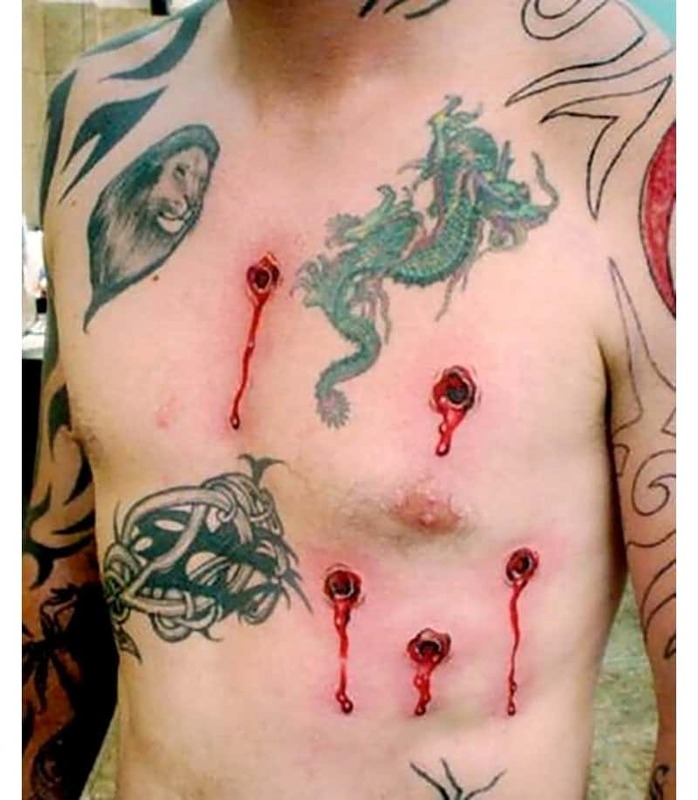 I hope the surgeon doesn’t use his tattoo as a guideline, or he may end up losing a rib, or more.